Since Bramble Berry was founded in 1999, two things have been certain - we want to do everything we can to support small business owners and we will never leave Bellingham, the community we love. A lot has changed in the past 19 years, but those two things remain the same. We make sure a portion of our proceeds go to causes we're passionate about, including small business, supporting the community, and environmental conservation. We love partnering with organizations from the soapmaking community and beyond to positively improve the lives of those involved. The soapmaking community is full of inspiring creators. We are happy to support those creators in their efforts to expand the community one class, event, and conference at a time. Our team of makers and creative influencers are just as passionate about our local community as we are and we are commited to support the organizations they love. Bramble Berry offers a number of donation and sponsorship options. Please complete the appropriate application below for consideration. Amanda and her husband founded a non-profit called the Lovin’ Soap Project. 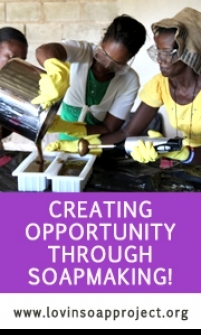 Members work to improve the lives of women and girls through health, education, artisan soapmaking, business planning, and economic development. They've traveled to Haiti, Senegal, Fiji, Tibet, and India. Bramble Berry has been a proud partner of the Lovin' Soap Project for the past few years. We provide ingredients and supplies for the soapmaking classes. We're lucky to have an amazing non-profit called Conservation Northwest right here in Bellingham. 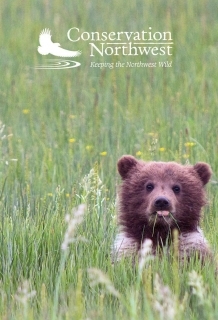 They protect, connect, and restore wildlands and wildlife from the Washington Coast to the British Columbia Rockies. Our contribution to the 15th annual Hope for a Wild Future Auction helped bring in more than $400,000 to benefit both people and wildlife in the area.